CADMIUM, LEAD, AND NICKEL FREE!!!! W20591R - SILVER TONE POINTED "PRAY"
Cadmium, Lead, And Nickel Free! 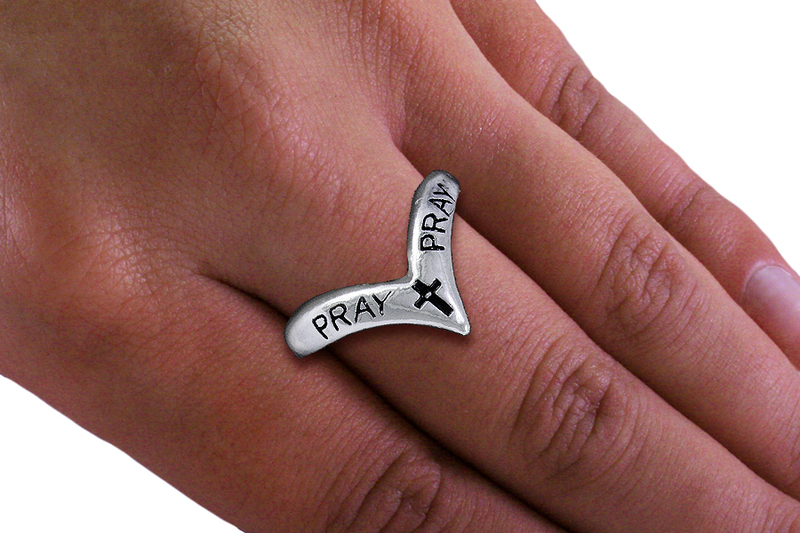 Silver Tone Stretch Ring With "Pray" Etched In Black Color Fill. Ring Is Stretch And Will Fit Most.